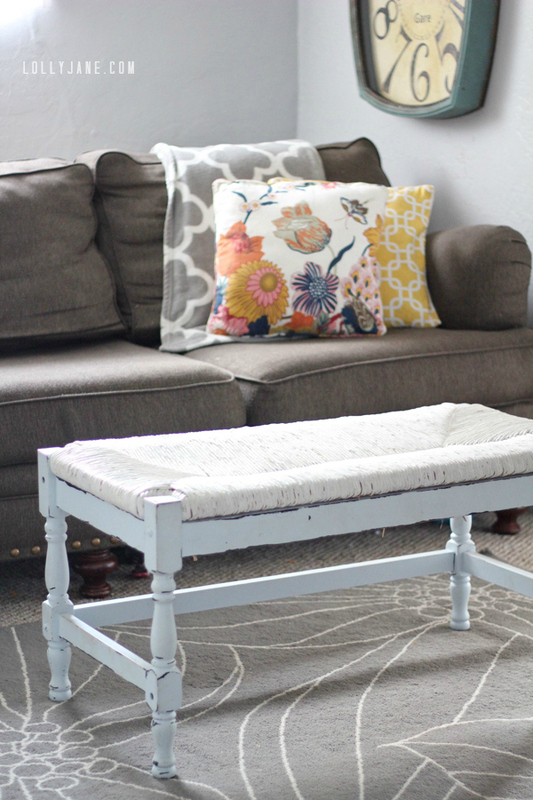 Well, I can’t believe it, but we’ve fallen for the wicker trend! 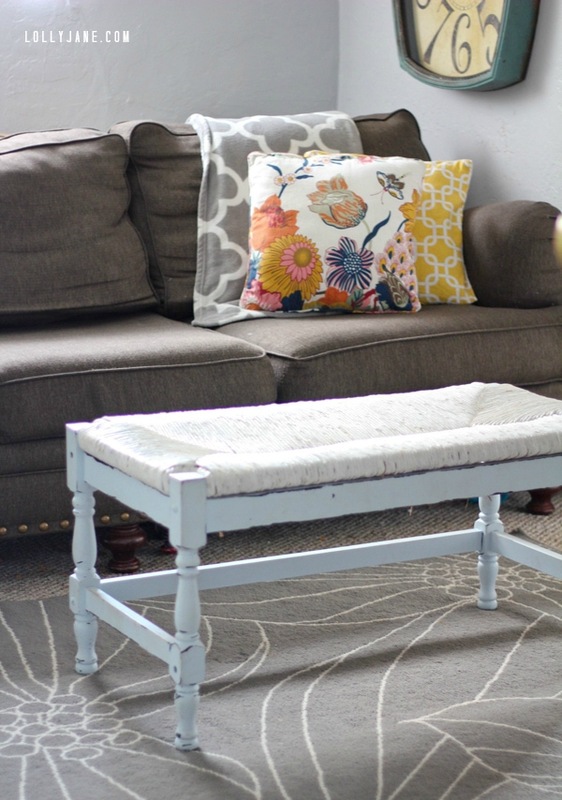 I found a thrifted wicker bench I just couldn’t pass up, so we’re back today to share our tips on how we transformed this piece WITHOUT spray paint! 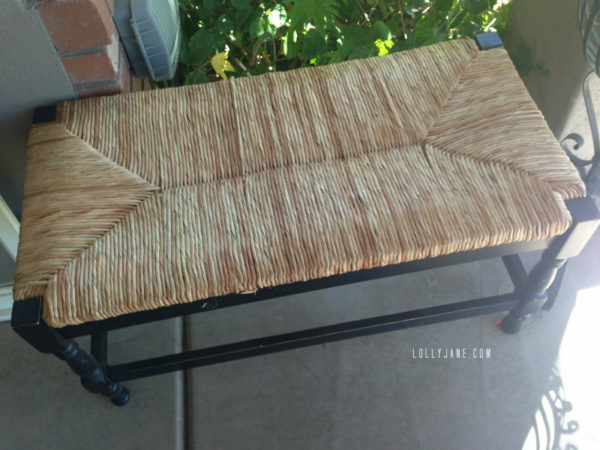 So, how do you paint wicker without spray paint? First things first, make sure your wicker is clean! 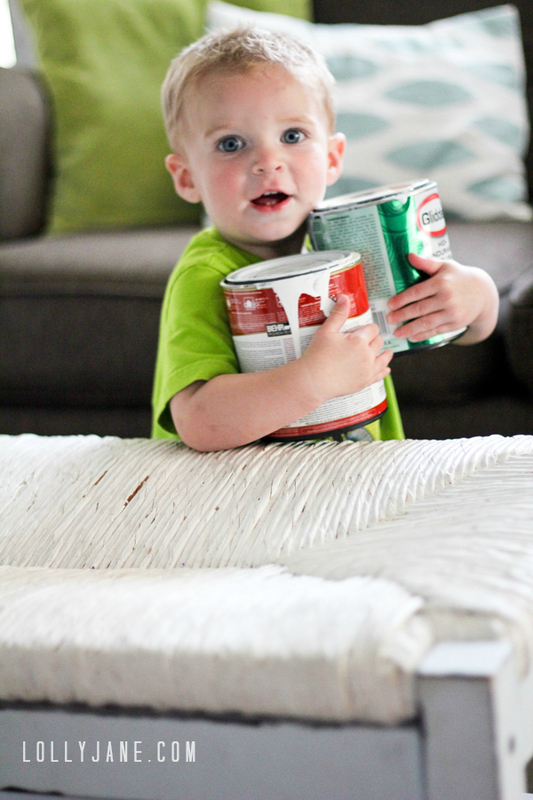 Because it is a natural fiber, any spots (like dust, dirt or oil) can show through the paint. Rinse it in warm soapy water and for tough spots, a bit of degreaser may be necessary. Make sure it is bone dry before proceeding! Secondly, prime. 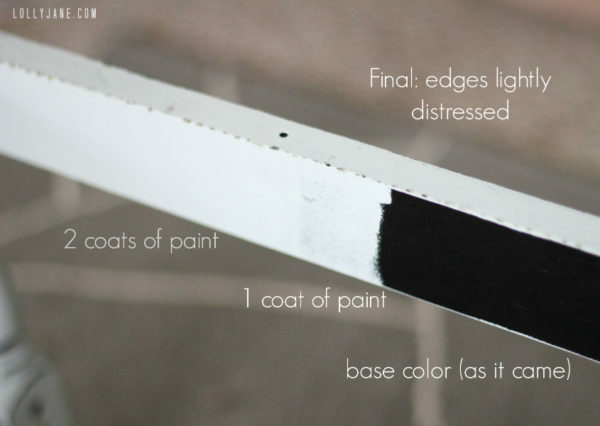 Because I use paint + primer in one, we can skip this step and start painting. Yay! I used a $2 foam brush to paint the wicker. Yes, you read that right: foam brush. 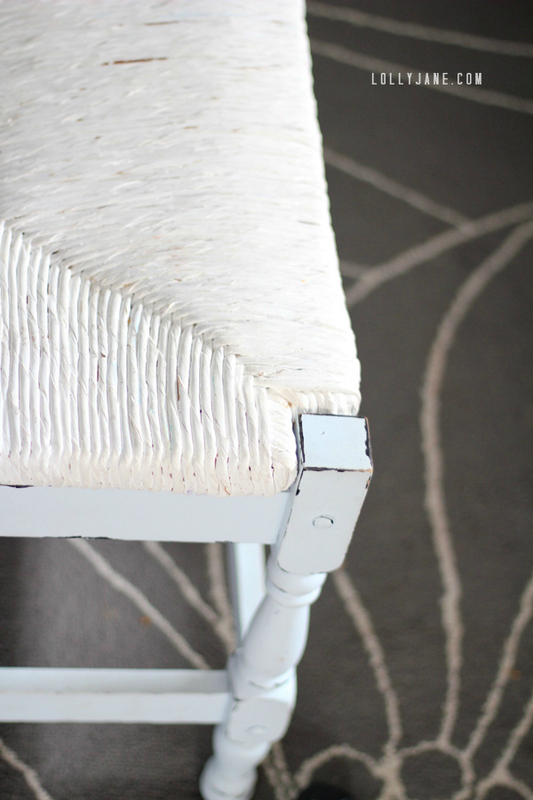 Because there are so many nooks and crannies with wicker, it is easy (when getting in between them with the brush) to lose bristles. I avoided that all together and got a better quality foam brush. Paint adheres to wicker quite well, so the difference between a foam and bristle brush was very minor. Again, I just brushed on 2 light coats of paint, this time using Behr’s self priming interior flat in ultra pure white. As you can see by my little helper, a quart of each is plenty! (; Notice that I painted heavily inside the grooves of the wicker. This makes the piece look more blended than spray painting, where the natural wicker shows through. To match the base, I lightly sanded again to give it the aged look. All in all, I didn’t spend anything more than the original purchase price since I had the leftover paint from the revamped couch table and two-tone kitchen barstools we shared with you earlier, and of course have a stash of foam brushes on hand. Not too shabby! So tell us, do you think the wicker trend will last?